Hi, Kelley. I know you well but my readers do not, so please, introduce yourself and tell everyone about your writing journey. Sure, John.I am Kelley, wife and mother of four. I was born and raised in South Carolina, but I have lived in the Washington Metropolitan area for nearly 30 years, so I claim myself a native Washingtonian.I enjoy reading, writing, riding my bicycle, singing, decorating and browsing thrift stores nationwide (one man’s trash is another man’s treasure). I began writing as a way of journaling pent up emotions. 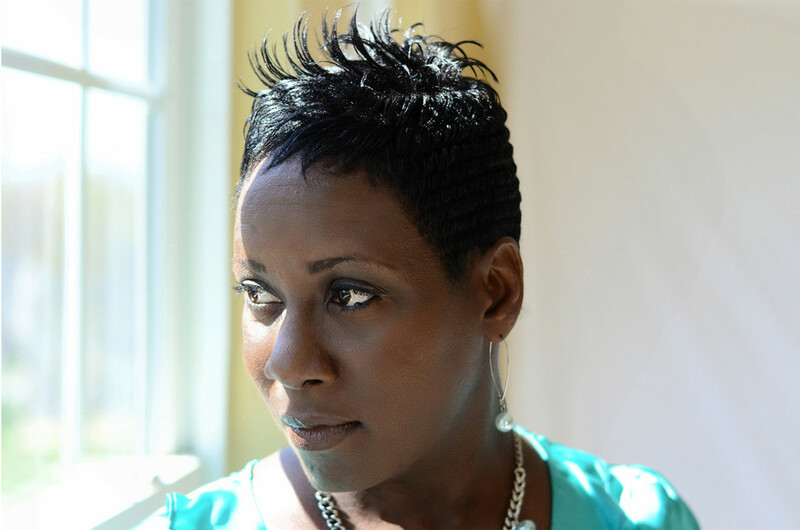 I was experiencing so many outrageous and unbelievable confrontations with my rebellious and out of control pre-teens and teenagers, I began keeping a journal of how I felt (my emotions) about their rebellious behavior and what extreme measures of punishment I used to quickly correct their actions and teach them accountability. Do you write every day, and what else do you write? Actually, I do write every day, but not any particular type of genre though. I keep notepads and pens with me and when memories or ideas come into my head, I jot them down. This does lead to several pads lying around the house with notes scribbled throughout, but, it all comes together when I sit down and start collecting and putting the pieces together, like a puzzle. I write a particular form of poetry that I call, “Performance Poetry.” It’s my own personal spin on bringing poetry to life and making the words jump off the paper by impacting the audience/listeners in a powerful and interactive way. 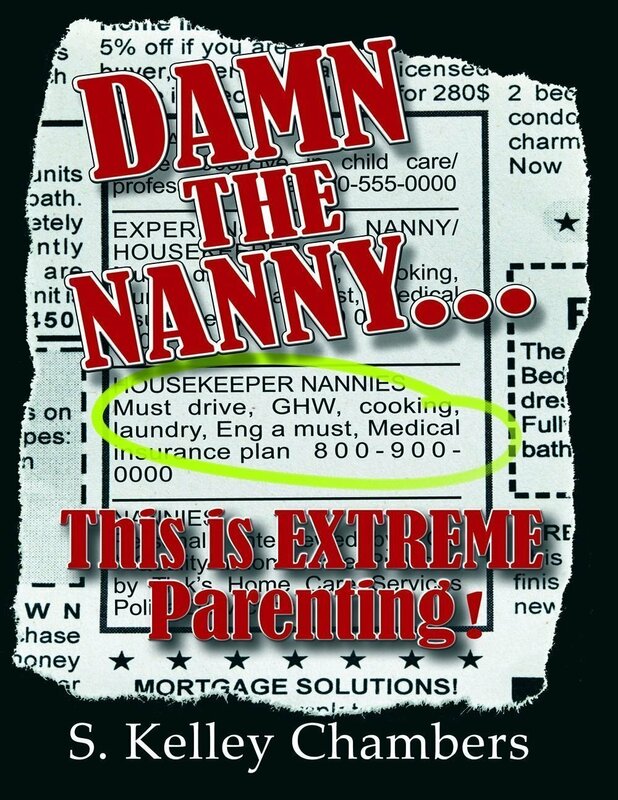 Tell my readers about your new book, Damn the Nanny… this is EXTREME Parenting! The book honestly expresses the power-struggles and love-hate relationships between parents and adolescents that many parents are reluctant to talk about. It unveils the crying, frustration, sleepless nights, yelling and often times the emotional low a parent experiences when the law has to get involved. It soothes many of the confrontational episodes with humorous anecdotes and startling behavior modification or what I call, extreme disciplinary methods.I believe the highs and lows throughout the book will reach out to many parents that may be experiencing similar “out of control” teenage behaviors in their families. Do you have any favorite authors, or any that inspire you? Oh my, there are so many authors and genres that it would take up too much paper to list them all.I love biographies and memoirs. I love sci-fi, fictional biography, and horror (yep, I enjoy being scared out of my wits at bedtime). Some of my favorite authors have had best seller’s and reached celebrity status like; Toni Morrison, Alice Walker, Amy Tan, Stephen King, Ernest Gaines, David Pelzer, Iyanla Vanzant, Jeannette Walls, Cupcake Brown and Jamaica Kincaid. Some of my favorites have gone on to their resting places like; Zora Neale Hurston, Maya Angelou, Sidney Sheldon and Alec Baldwin. And by the way, I have a close relationship with some amazing local authors like; John Wills and Tracy Deitz. Whenever a reader gives me honest and deeply passionate reviews or critiques, verbally or written, about their experiences in comparison to the book, I feel a strong connection to them. I feel empathy toward whatever they are going through and I feel I am making my story-their story. Where and when do you write? Do you create a certain environment for writing, e.g., certain music playing, favorite chair, etc.? As I stated earlier, I keep pens and pad with me at all times. Whenever a worthy thought, memory or idea comes to me, I jot it down. I usually end up with numerous pads and lots of scattered notes, but when I sit down to write, I draw off of those notes and add stories to them.I do listen to the radio a lot, but, when I am writing, I can only listen to Contemporary Christian music because it soothes my mind. Furthermore, if I listened to Acoustic Coffee House, Oldies, Folk, or Indie Folk, I would never get anything done because I would be too busy singing along with the artist/group.I can write anywhere I go; on a train, bus, traveling, at a restaurant, in bed, in the bathroom, at an amusement park, or at church. Wherever there is paper and pens, I can write. Yes. I am in the process of working on a project revealing Satan’s plan to entice, ensnare and destroy the institution of marriage as it is outlined in Genesis (a hidden 10-Step process). Do you have any events planned for the book release? Thanks for sharing your writing journey with all of us. I know your book is presently available on Kindle, but the paperback version is due out in days. Having read the book myself I know it will be enjoyed by many. Please keep us informed on future works by S. Kelley Chambers. As always, Marilyn, you’re spot on. It’s always fun to learn how other authors organize their writing abilities. I love the notepad idea for thoughts that can become something interesting to write about. Really great interview, both John and Ms. Chambers. Thanks, Jackie, she knocks it out of the park with her performance poetry.